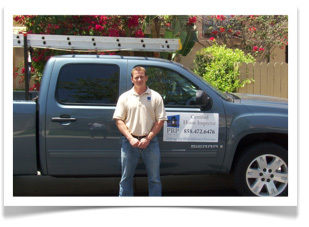 Mike Durnell, a former Marine, has been active in the home inspection industry since early 2005. After attending AHIT(American Home Inspectors Training Institute) and passing the National Home Inspectors exam, he joined CREIA (California Real Estate Inspection Association) to continue his education. While performing inspections, he volunteered his time with Habitat for Humanity and a roofing company in Anaheim for some extra hands-on training. His goal is to provide thorough and accurate inspection reports to prospective home owners, enabling them to make informed decisions in the home buying process. PRP Inspections’ services go far beyond just the inspection. They are always available to answer any questions you may have, before or after your home visit. Call today to schedule your inspection.